Mr. Robert Tanfield, of Bradwell Circuit, is in his eightieth year, and has been a member of our church nearly sixty years. During the time he has been an earnest worker in various branches of the service, but especially as a local preacher. Both his Station and District have recognised his worth. In the parish of his adoption he has occupied several responsible positions, and is at present the Overseer, an office he has held for many years. He has been Chancellor of the Circuit since 1885, and has creditably managed the finances rarely having a balance on the adverse side of his book. 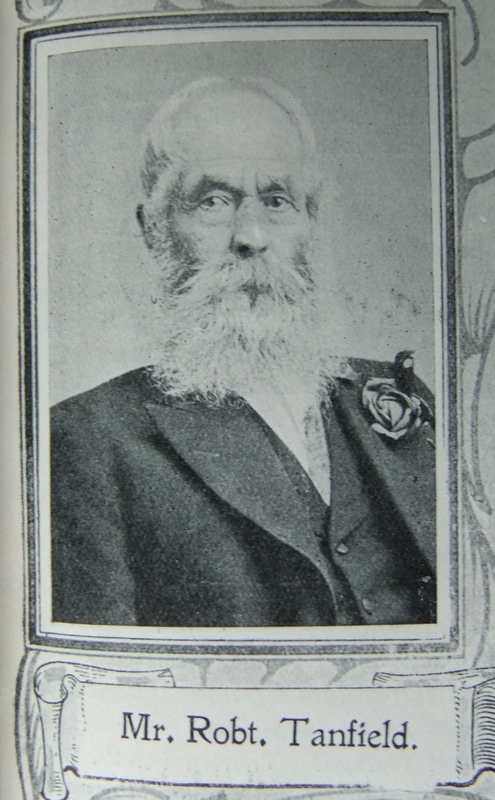 Robert was born in 1829 at Thirsk, Yorkshire, to parents Thomas and Ann. Thomas was a flax draper (1841). Robert was baptised on 28 June 1829 at Thirsk. Robert followed his father’s trade and became a tailor and draper. Robert married Jane Simpson (1827-1863) on 20 June 1853 at Farnham, Yorkshire. Census returns identify three children. Robert married Mary Boyes (abt1833-1880) in early 1864 at Kirkstall, Yorkshire. Census returns identify three children. Robert married Hannah Boyes (abt1842-1925) in early 1882 at Malton, Yorkshire. They had one child who died in infancy. 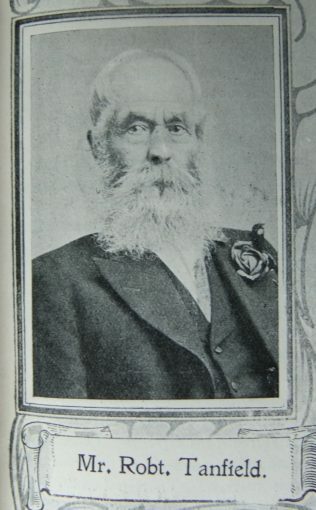 Robert died on 1 February 1913 at Bradwell, Derbyshire.